Everyone talks about the weather—including curious preschool children. 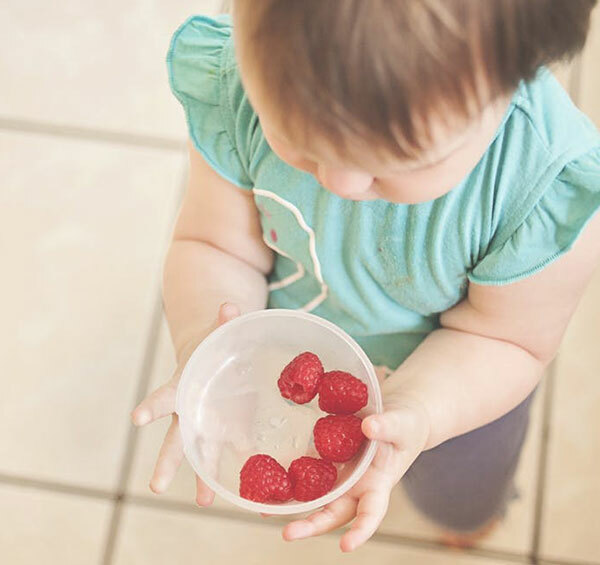 Young children are keen observers of their surroundings. 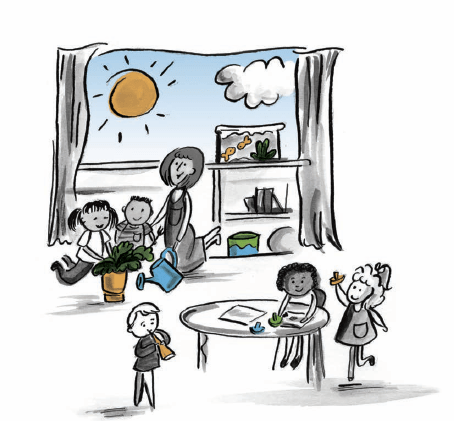 Describing, collecting, and recording information are important skills they can develop as they think about the weather (see Illinois Early Learning and Development Benchmarks 10.A.ECb, 11.A.ECb, 11.A.ECd, 12.E.ECa, and 12.F.ECa). Introduce weather-related words as you encourage children to observe and describe the weather each day. Ask questions such as, “Do you think it is sunny or cloudy, hot or cold, windy or calm?” If it’s raining, “Is the rain pouring or sprinkling? Is it just misty or really heavy?” If it’s snowing, “How could you describe snow to someone who’s never seen it?” “How can you tell when the wind is blowing? Can you see it?” “What sound does the rain make?” Ask the children if they have other questions. Think about the effects of different kinds of weather. Set up a rain gauge on rainy days using a clear plastic tumbler or wide-mouth bottle. Let a child mark the level of the rain one day, empty it, and then set it back outside. Check it again the next day. Is there more or less rainwater in it? Help make a simple bar graph to record daily observations. Look up on a cloudy day. Are the clouds moving or still? Talk about the color and shapes of the clouds. Provide chalk or crayons and blue or black paper for drawing. Create rainbows on a sunny day by using safe prisms inside or a sprinkler outside. Talk about the colors. Go outside on a windy day. Ask questions such as, “What can you see being moved by the wind?” “Does the wind make you feel colder or warmer?” Let children blow bubbles to see which way the wind is blowing. Let your young scientists fill a plastic or paper cup with snow on a snowy day. Mark the level of the snow on the cup and bring it inside. Measure the level of the water when the snow melts. Is it higher or lower than the mark made showing the level of the snow? 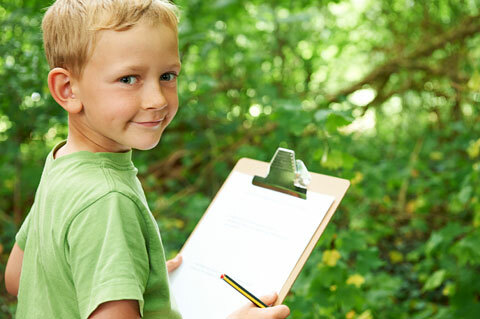 Help preschoolers record their observations. 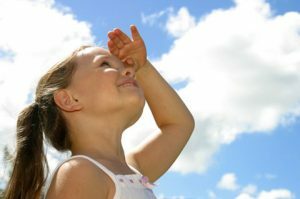 Preschool children can chart their daily weather observations for several days. Children can draw the sun, rain, or snow and dictate a brief description. Use the chart to answer questions such as, “How many days in a row did the sun shine?” “Did it rain yesterday?” Weather observations can also be included in a class journal. 03/2010 Comments Off on Say Yes to Healthy Snacks!